EtsyPHAT's Plant Peeps: EtsyPHAT treasury! The place for EtsyPHAT members (Etsy Plant & Horticultural Arts Team) to tell stories about plants and their assorted plant peeps. Watch this space to learn something new, see something fancy, or find out how your fellow Etsyians are doing with their plant life! 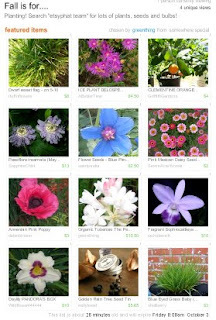 Find Plants for Sale on Etsy! What is your plant wish list?